This Kota masterpiece shows how to catch a wild elephant. 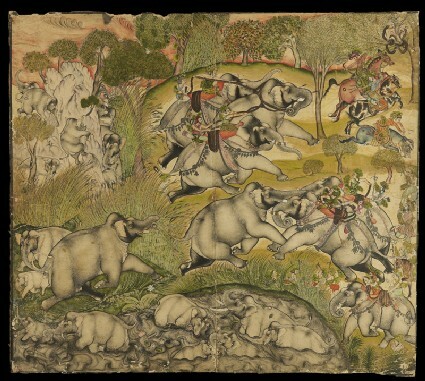 While the females and their young frolic in a lake, the bull elephant is lured forward to confront two intruder elephants, ridden by camouflaged huntsmen. 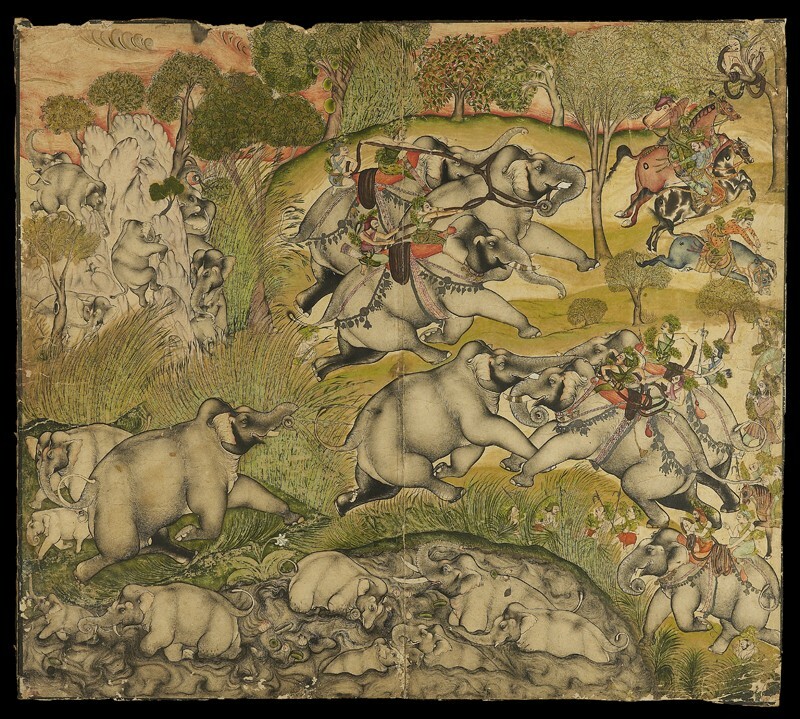 The hunters ride alongside the bull elephant and lasso him. Finally he will be trapped and tethered to the tree in the upper right corner. 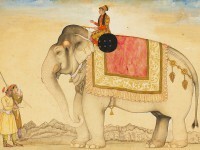 When finally pacified, he will be taken to join the royal elephant stable.